Neal Shusterman’s latest dive into science fiction is amazingly fresh and thought-provoking, which I expected, and a magnificently crafted work, which I also expected. Shusterman examines a world in which technology has reached its pinnacle, to the point of government being all but obsolete and medicine conquering pain, illness, and even death itself. People may now choose to “turn the corner,” reset their lives, and be as young as 20 again–and they can presumably do it forever. Because colonizing the moon and other planets has failed, the earth would be subject to overpopulation if not for the Scythedom. It’s guild of sorts that functions completely outside of the Thunderhead, the technological “cloud” that takes care of everything else. Scythes are charged with the task of “gleaning” a set number of people every year, answering only to the rest of the Scythedom. Different scythes adopt different methods of gleaning and choosing whom to glean. Main characters Citra and Rowan are selected as reluctant apprentices to Scythe Faraday. As they learn the commandments of the Scythedom and the art and skill of gleaning, they soon find themselves caught in the middle of a controversy over the old and news ways of being a Scythe and also in danger of losing their lives or their humanity. Once again Shusterman has created a novel that will keep the reader thinking long after the last page has been turned. I was definitely struck by the idea that no matter how many other challenges, circumstances, and differences this future world took out of the equation, there were still individuals driven to do selfish, evil acts. And in turn, there are always individuals who will stand up to them. It is going to be a long wait for the next book in the series, but I will definitely be coming back to think on this one again and again. High School & up: The Death and Life of Zebulon Finch: Empire Decayed by Daniel Kraus is a genre-buster of an epic tale that looks at life in the 21st century, told through the eyes of undead, forever-17 Zebulon Finch. In this final volume, readers experience the Vietnam War, Woodstock, a disturbing commune, and more in ways that will not soon be forgotten. Kraus is a magnificent storyteller who never ceases to disturb, but who also never ceases to provoke much thought. Older teens who are willing to put in the effort will find this a fascinating book. 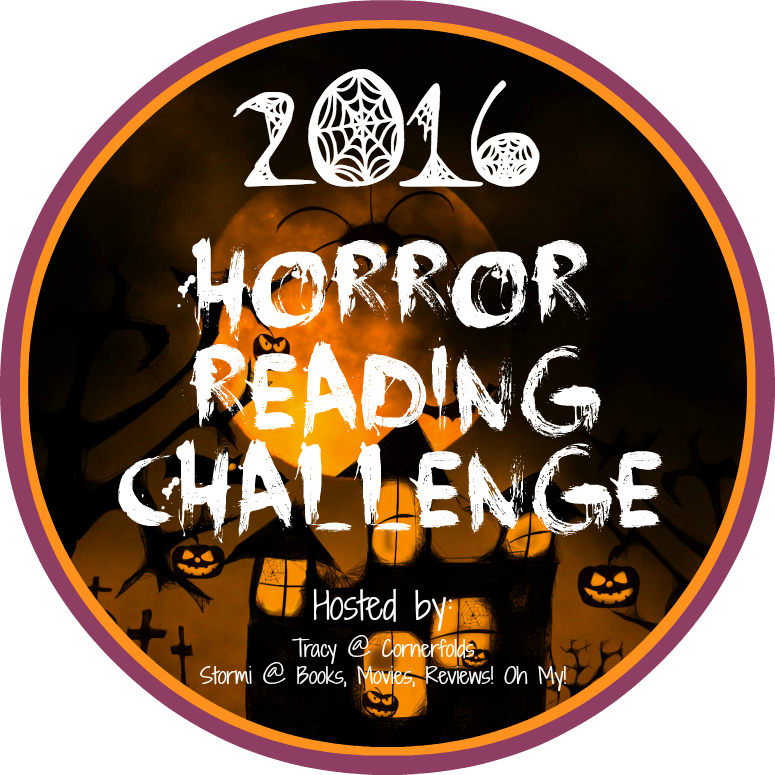 This book counts for my Horror Reading Challenge 2016–although it is a genre-buster, there are definitely horror elements. Adult: Defending Jacob by William Landay is the story of a District Attorney who finds his son accused of murder, and the ensuing defense of the troubled young man. It was an interesting read, but not as good as I expected it to be. This book counts for my Surprise Me! Challenge 2016. Since I am reading such an epic fiction novel just for me (see below), I decided to supplement with a little bit of nonfiction this week. Reading What If My Cat? by Claire Arrowsmith is a direct result of Firefly, the new kitten at our house. It has been about 10 years since we last had a kitten, and I feel I have become a little rusty at the let-us-introduce-her-to-the-old-cat-and-hope-there-is-no-bloodshed thing. So far, so good, and the book did give some good tips for introducing new cats to other pets and children. It also gives good basic information to first-time cat owners. I will definitely recommend it to students who are welcoming a new kitty into their lives. First Flight Around the World by Tim Grove was written in conjunction with the Smithsonian and supplies readers with lots of information and photographs from its archives. It tells the story of the 1924 race to be the first to circumnavigate the earth in an airplane. America sent out four planes, and two of them were successful in completing the mission and ensuring that the United States was the winner. Grove made heavy use of the journal of First Lieutenant Leslie Arnold, the mechanic on the Chicago, one of the planes that made it, and the details of flight preparation, navigation, and the stops along the way are riveting. Readers will learn much about the world in the 1920s as well. What’s more, it is a beautifully designed book which will keep readers engaged and will compel them to examine the many photographs. Back matter is excellent, including all those elements that make an informational text stand out. It is no wonder that this book was a finalist for the YALSA-ALA Excellence in YA Nonfiction Award.